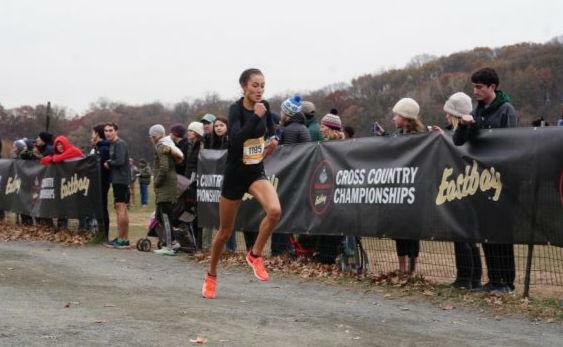 On Saturday, Connecticut runners raced against 10 other northeastern states, from Maryland to Maine at New York's Van Cortlandt Park. The top 10 in the boys and girls' championship races qualified for Footlocker Nationals in San Diego, California on December 8th. Four athletes from Connecticut qualified to move on to nationals, with several others having outstanding races in the non- seeded class races earlier in the day. The four athletes give Connecticut 19 girls and 29 boys who have qualified for Nationals since they began holding the event in 1979. Three of the four qualifiers probably aren't familiar to local cross country fans because they don't compete in the CIAC, but go to prep schools that compete in the New England Prep School Track Association (NEPSTA). Marianapolis Prep is a school of about 400 students right off of I-395 in the northeastern CT town of Thompson. Among the school's many other academic and athletic accomplishments, they can now boast about sophomore Sydney Masciarelli, who won the Northeast championship race in 17:12. This performance gives her the sophomore record and the 4th fastest time ever on the historic course. Finishing 30 seconds behind her was New England and State Open champion, Kate Wiser of Pomperaug who took 5th. This was Wiser's fourth time under 18 minutes this year. Wiser is the 2nd girl her coach Mark Goodwin has guided to Footlocker. When Goodwin was at Bethel High, he went with Erin St. John who took 25th in 1991. Also earning All Northeast honors was Class LL champion Mari Noble of Greenwich who took 15th in 18:42. This was the 10th grader's fastest time of year over 5000m. The boys had a pair qualifiers from Connecticut Prep school with 8th place finisher Matt Farrell of Loomis Chaffee and 9th place finisher Mustafe Dahir of Choate Rosemary. Farrell was the NEPSTA cross country champion and Dahir was 4th. The two rival switched places last year at Regionals when Dahir took 20th with Farrell a place behind. Manchester freshman Aidan Puffer came into the season with big expectations after setting age group road race world records as a 14 year old. But a midseason injury held him out of the CCC meet and he just missed qualifying for New Englands with the dreaded 26th place finish at the State Open. Well, the three weeks of training paid off with a 17th place finish in the championship race and his time of 16:04 was only 23 seconds away from making nationals. Tenth place State Open finisher Travis Martin of Wilbur Cross surprised many with a top 25 finish on Saturday in 16:17. He finished one second ahead of New England champion Trey Cormier of Hall who took 27th. In the class races, Connecticut athletes also fared well. Ridgefield's Tess Pisanelli won her first significant race of the year by taking the Junior/ Senior race in 19:43. The 11th grader broke into the top 10 at the State Open and took the last All New England spot with her 25th place finish in Manchester, NH two weeks ago. Pulling out another win for in state athletes was Nick Bendtsen of Wolcott who took the Freshman/ Sophomore race with a time of 16:43. The sophomore improved a minute and 24 seconds over his time last year at Regionals. Even though he is relatively young, he is quite familiar with the Footlocker meet after his brother, Chris finished 27th at Footlocker Nationals in 2009. 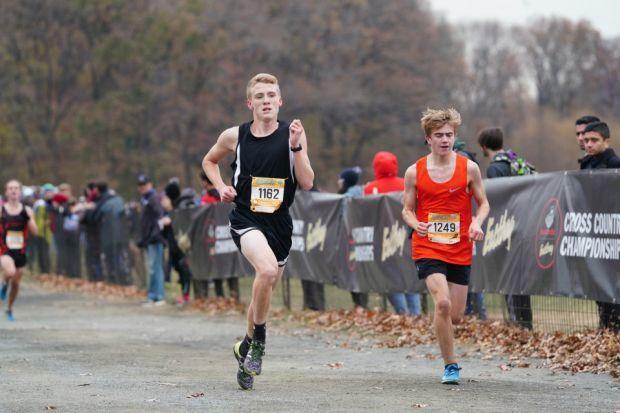 The elder Bendtsen took 9th his senior year at Footlocker Regionals in a time of 16:11, only 22 seconds better than his little brother. Speaking of brothers, Callum Sherry, twin brother of State Open runner up Gavin Sherry, grabbed his moment in the sun with a 6th place finish in the Freshman/ Sophomore race in 17:05. He was the 2nd fastest freshman in the race and the 3rd fastest freshman of the day behind Puffer.